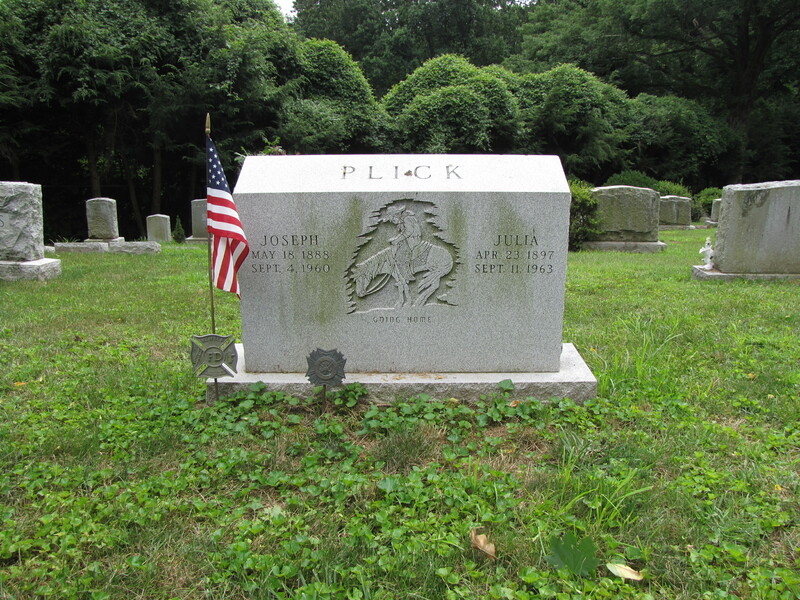 The Joseph and Julia Plick gravestone in the Sleepy Hollow Cemetery at Sleepy Hollow, New York, has an incised carving of a cowboy slumped over on his horse. 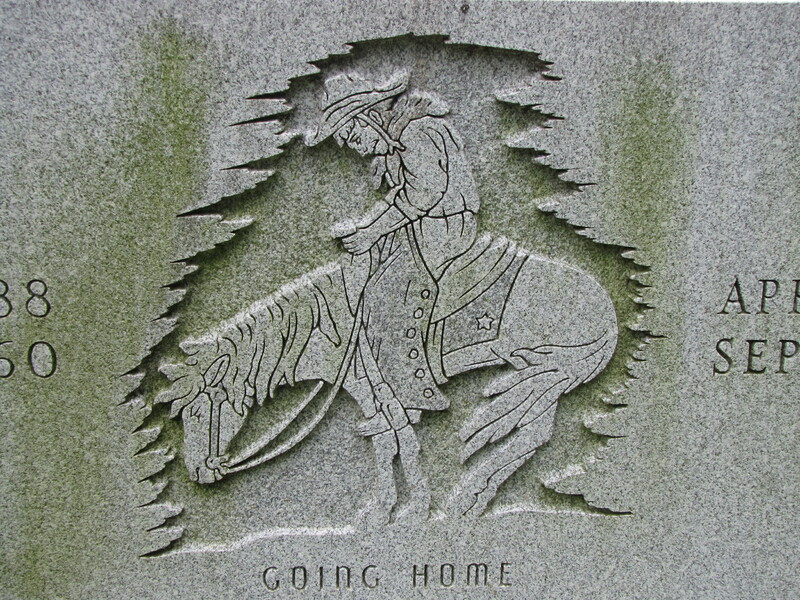 The marker is a take off on the sculpture, The End of the Trail, which was a powerful tribute mourning the loss of the Sioux people, by the famous western sculptor, James Earle Fraser. 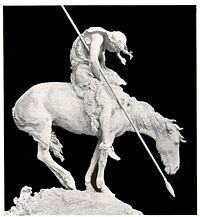 Fraser created the sculpture for the Panama Pacific Exposition held in 1915 held in San Francisco. In addition to his fame for The End of the Trail, his most famous work, Fraser was also recognized for the art he created for the United States Mint, for the Indian Head Nickel. The End of the Trail is also a fitting metaphor for the end of one’s life.